Since Kanye West's single "Mercy" became a huge success it seems a right of passage to producers to remix the big bouncy track. With the dark vocals who couldn't resist slowing the track down and adding a big room house sound? Or even speeding it up to a terrifying speed hitting nearly 200 bpm. Let's not forget the idea of adding a grimey bass that packs a heavy punch layered on top of the deep and eerie vocals. 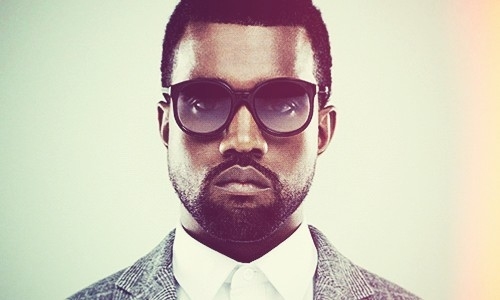 It seems dubstep producer Figure took the latter route with his grimey remix of Kanye's track. Figure's remix has enough packed into 3 minutes and 46 seconds that it's enough to rattle your brain and leave you shell shocked. When I first saw that Figure had remixed this track I expected to hear his usual bouncy and terrifying style sounding like a toddler having a bad accident after eating 3 burritos. Instead what I was listening to was a heavier bass and less dark side of the original. Enjoy. Mmmm, I don't know- feels sort of plain. Feels like the original said and communicated more- this seems like a pretty vague expression masked in grime. I definitely know what you're are talking about, it doesn't seem like a full blown Figure track to me. Not that it's not good because I still think it is but it's nothing mind blowing, I think I prefer Salva's remix to be honest. A lot of people were going crazy over this but I wasn't too into it, honestly. Could just be because it's so different from what I expect from Figure though.